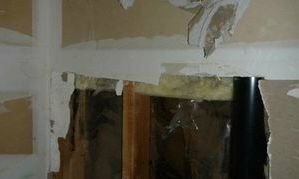 911 Restoration Atlanta knows how much the sloping topography of Kennesaw can make us susceptible to flooding once a storm comes in, but luckily, our water damage Kennesaw technicians know exactly how to deal with these kinds of emergency situations. We’ve handled a variety of water emergencies including leaking water heaters, sewage backups, and toilet overflows. Whatever the source of the problem, you can contact 911 Restoration to give your home a fresh start after a disaster strikes. With over 35 years of experience and with the latest drying technology, we ensure that your home will be looking good as new after we’ve done our job. To help you handle water-related emergencies as soon as possible, you can make use of our technicians who are available 24/7/365 Fast Emergency Service and you can expect us to respond within 45 minutes of your call. Our team will be able to provide you with the quick disaster restoration work your home needs to stay in shape after emergencies including flooding, pipe bursts, or roof leaks. Make sure that your gutters are clear of any leaves or debris so water can flow away from the roof and foundation of your home properly. Inspect the older sections of plumbing within your home. This will alert you to any issues the pipes may have and may help you avert a pipe burst. Check your doors and windows if the seals are still watertight to prevent leaking. Look for any signs of discoloration or swelling in the frames. Replace any missing or loose shingles to prevent roof leaks. Have any cracks in the foundation sealed to prevent major structural damage. If you’re in need of professional assistance, 911 Restoration Atlanta can come over to assist you repair or restore water-damaged sections of your home. You can rely on us for any kind of flood cleanup. Don’t let your home fall victim to the effects of a water invasion from a ceiling leak, pipe burst, or any form of flooding. 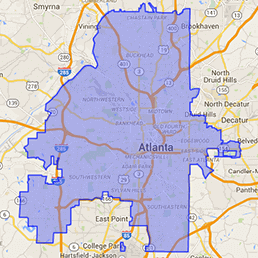 Contact our water damage Kennesaw team with 911 Restoration Atlanta today! To provide you with only professional services that can give your home a fresh start after an emergency or disaster, you can rely on our licensed, insured, and bonded technicians to assist with flood clean up. Once we arrive, we will be providing you with a free thorough inspection and estimate to give you a better idea on what kind of work needs to be done. During our free inspection, we will be performing any maintenance work that needs to be done. Furthermore, we will be working with your insurance company to provide you with an affordable price so you avail of our professional water restoration services. We will make sure that your insurance claim will be filed in the manner most convenient to you. When issues like flooding, sump pump failure, downspout flooding, or ruptured hoses arise, keep calm because experts like our water damage Kennesaw crew with 911 Restoration Atlanta is just a phone call away today!